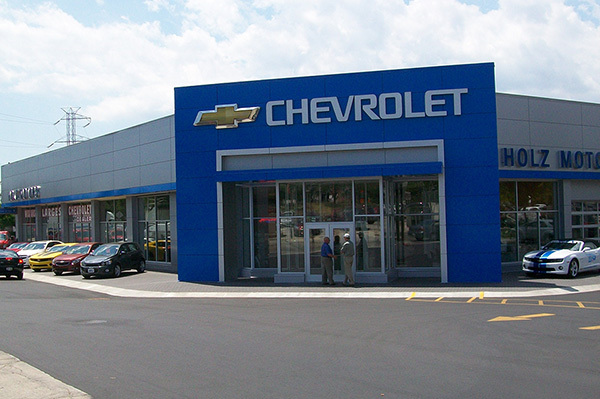 Holtz Chevrolet wanted to update its dealership to better serve its customers. As a result the existing building was renovated and a new addition added for more space. The project included a new showroom, service areas, service write up spaces, a new retail area, kids play area, customer waiting area, kitchen area for waiting customers, new sales offices and new car delivery area.